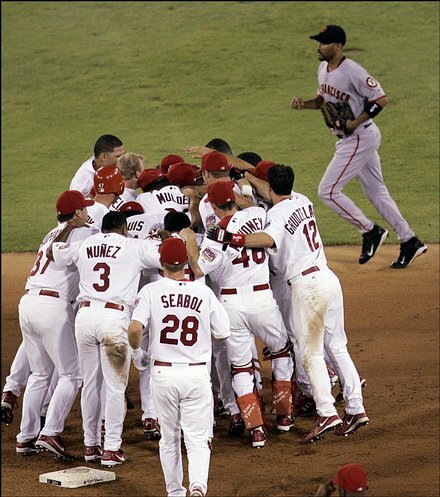 Continuing our stroll back in recent Cardinals history from last Thursday, the 2005 St. Louis Cardinals followed up their 105-win-National-League-pennant-winning season by winning 100 games, the NL Central and making it to Game Six of the NLCS against the Houston Astros. 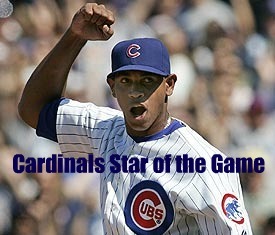 That’s a walk-off winner on Aug. 19, 2005 – thanks to Jim Edmonds. It was the year the Yankees came to town, and Mariano Rivera and his bullpen pals had some fun. It also was the final year of Busch Stadium II. And it was the year of a couple of very cool August walk-off wins.